Museums in St Petersburg reflect the rich historical heritage of the city. The Great Exploration Children Museum, the Museum of Fine Arts, the St.Petersburg Museum of History and the Holocaust Museum are amongst the famous tourist attractions, with the Salvador Dali Museum topping the list. Museums in St Petersburg reflect the rich historical heritage of the city. The Great Exploration Children Museum, the Museum of Fine Arts, the St.Petersburg Museum of History and the Holocaust Museum are amongst the famous tourist attractions, with the Salvador Dali Museum topping the list. Salvador Dali Museum The Salvador Dali Museum houses the largest collection of Salvador Dali’s works outside of Europe, including ‘The Discovery of America by Christopher Columbus’ and ‘The Hallucinogenic Toreador’. The museum is open round the year, the daily hours being from 10:00 A.M. to 05:30 P.M. On Thursdays, it remains open till 08:00pm and on Sundays; the timings are from 12:00pm to 05:30pm. The city is a vibrant abode of famous artworks. The American Style magazine ranked St. Petersburg its top mid-size city in 2011. 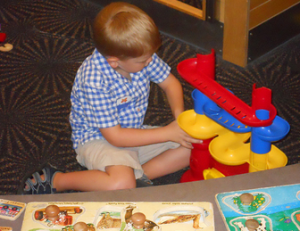 Great Exploration Children’s Museum The museum accommodates giant pretend stores, fire house, pet vet clinic, preschool, science, music and art and water exhibits. Kids of all ages have the opportunity here to explore and learn using all of their senses whether it be crawling through the touch tunnel for younger kids or playing in the art studio for the older kids. Every adult must be accompanied by a child and every child must be accompanies by an adult. Hours are 10:00 A.M. to 04:30 P.M Monday through Saturday and 12:00 A.M. to 04:30 P.M on Sundays. Florida Holocaust Museum Open daily from 10:00 A.M. to 05:00 P.M, this is one of the largest Holocaust museums in the country. They host a permanent collection called History, Heritage and Hope as well as temporary rotating exhibits year round. Parking is free and audio tours are included in the price of admission. The downtown is home to a number of other galleries and entertainment resorts including the Mahaffey Theatre Complex, American stage, the Coliseum, Midtown Royal Theatre, The Arts Center, The Florida Craftsmen Gallery and the Palladium Theatre. The downtown presents the true picture of the city life with its shopping malls, restaurant chains, retail shops, clothing stores, book stores; it is truly the buyers’ haven. St. Petersburg holds all the promise of a good tourist resort and is certainly not a place to be missed. The next time you gear yourself up for a hop around the globe, make sure you board the right plane. Bon voyage!